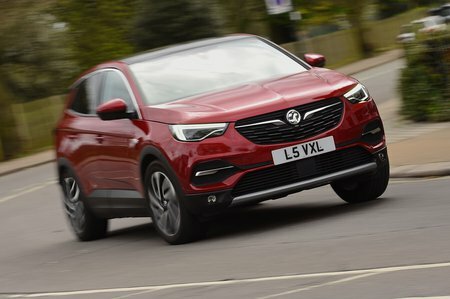 Vauxhall Grandland X 1.5 Turbo D SE 5dr 2019 Review | What Car? This is the most basically equipped version of the Grandland X, but you still get 17in alloy wheels, dual-zone climate control, automatic headlights and windscreen wipers, high beam assist, cruise control and rear parking sensors. You also get a 7.0in touchscreen with a DAB radio, Bluetooth, Apple CarPlay and Android Auto, plus Vauxhall's OnStar concierge service, but no sat-nav. Disappointingly, it doesn't come with automatic emergency braking.